1. 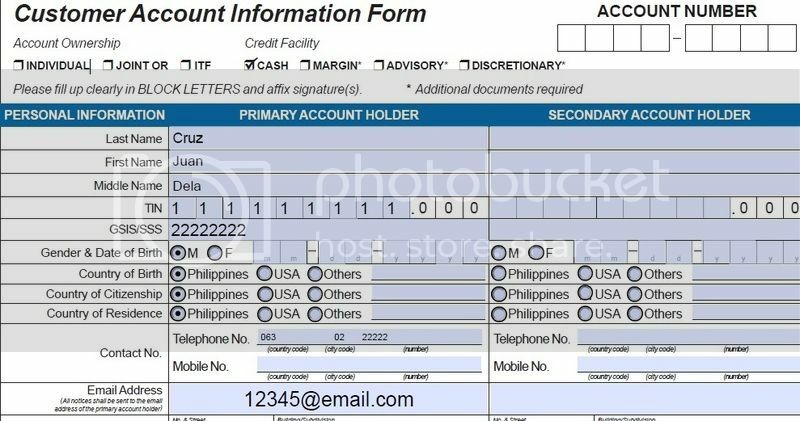 You need a photocopy of one valid government issued ID like SSS, GSIS, PRC, driver’s licensee etc… also you need a recent billing statement not older than 3 months. 2. 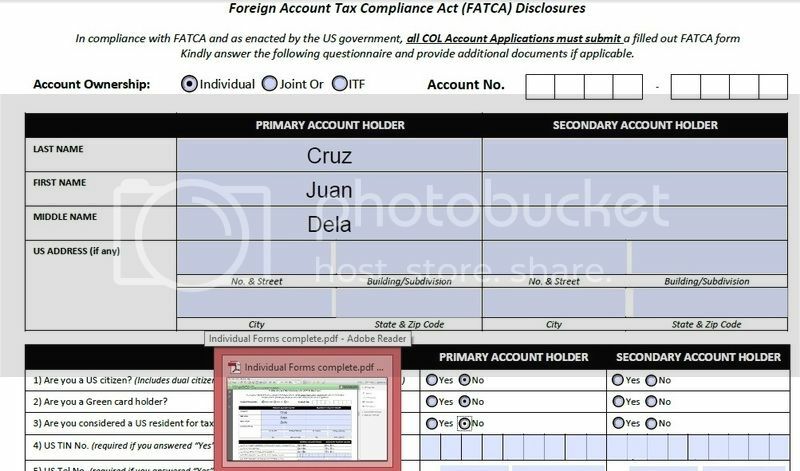 Complete the Customer Account Information Form (CAIF) and Foreign Account Tax Compliance Act (FATCA) , take note that regardless whether you have a foreign account or none you still need to fill up this form. When I opened my account with Col Financial i disregarded this from because of the fact that i do not have a foreign account but i was contacted by Col personnel saying that it is a requirement that i need to fill up regardless if i don’t have a foreign account. 4. A sale person will contact you by email or phone to give you your account number(usually it is 8 digit number) and status of application they will also instruct you to fund your account. An instruction is included on how to fund your account. The initial amount should not be lower than 5,000 pesos and after which you can fund it as often as you want and regardless of the amount but as much as possible not lower than 1000 pesos because you will incur a transaction fee it is below 1000 pesos.You will the same account number on funding your account the succeeding time. 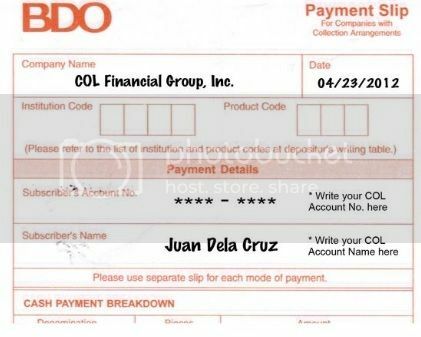 The bank that i choose to fund my account was bdo because the bdo branches located in malls are open until 7pm. Although online banking is also acceptable means of money transfer. 5. Once they confirmed your funding they will send you the password for your account. 6. You can now access your Col Financial Account.